With origins rooted in China and Egypt, massage is an ancient form of natural healing that has been around for thousands of years. 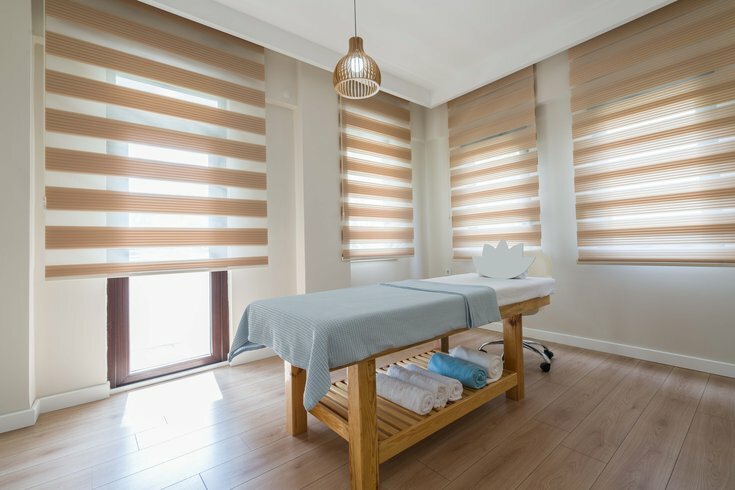 Although the idea of massage in Western culture is often associated with high-end spas and luxury experiences, massage therapy doesn’t have to be something you only indulge in on rare occasions. Incorporating regular massage sessions into your self-care routine can work wonders for your muscles, and your state of mind. Research proves that stress affects much more than just the mind itself. It can cause chronic pain and other symptoms that make life uncomfortable, to say the least. Muscle tension is a common manifestation of stress that, over time, can lead to stiffness and pain. Stress also impacts your mood, often resulting in feelings of restlessness, irritability, sadness, and depression. Many people use meditation and breathing techniques to relax and create a deeper connection with the inner self. But meditation doesn’t come naturally for everyone, and lots of people have trouble achieving stillness and quieting their thoughts. Massage is a great way to relax for those that find it difficult — by targeting the muscular, circulatory, and nervous systems, massage therapy has been proven to slow the heart rate, calm overactive nervous tension, and reduce anxious thoughts or feelings. Over time, regular sessions will enable you to not only enjoy increased peace and tranquility, but you will be poised to avoid the harmful side effects of stress, like high blood pressure and heart disease. Whether you’re a yogi, athlete, runner, or all-around exercise enthusiast, the art of massage is a perfect way to soothe sore muscles. Massage helps you recover faster from the effects that strenuous workouts can have on your body, allowing you to make the most of each trip to the gym. By honing in on particular muscle groups, massage therapy can help maintain and improve your range of motion and overall flexibility in certain areas. As a result of this increased flexibility, massage works to prevent injuries and protect potential problem areas, too. In addition to the multitude of physical benefits massage has to offer, it can also elevate your mood and lift your spirits. Massage treatments release endorphins, dopamine, and serotonin — your body’s “feel good” chemicals — into the bloodstream. This has a lasting positive impact on your mood, helping you to relax and de-stress when life gets overwhelming. Most of life’s indulgences come with a price. For example, a rich, heavy meal at your favorite restaurant may be pleasing to the palate, but it can wreak havoc on your health, and your waistline. Receiving a relaxing, therapeutic massage is one of the few pleasures that feels good while also being beneficial to your physical and mental well-being. When your next birthday or major milestone rolls around, swap the decadent night of celebrating for a nice, calming massage. For your next anniversary, schedule a couples massage and enjoy a day of self-care, together. Whether you’re recuperating from a major workout like the Broad Street Run or seeking some much-needed rest and relaxation, massage therapy is an effective, enjoyable way to unwind.